The Monsters Are Coming. . . My Cover Reveal! 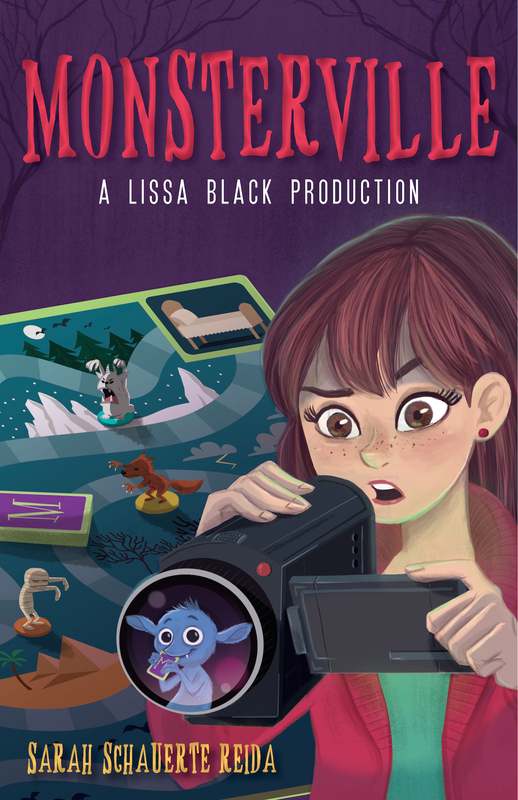 I am thrilled to reveal the cover of my debut middle grade novel, Monsterville: A Lissa Black Production, forthcoming from Sky Pony Press in September of 2016. Without further ado, here it is, followed by the synopsis on the back flap! Thirteen-year-old Lissa Black is anything but happy when her parents force her to move from New York City, the perfect home for an aspiring writer/director/actress, to Freeburg, Pennsylvania, nowhere capital of the world. There’s not much for Lissa to do there, except play Monsterville, a Candyland-esque quest to survive, which Lissa’s little sister, Haylie, has become obsessed with, and hang out with her new neighbor, Adam, who is intent to prove to her that Freeburg is a great place to live. And what do you do with a creature that can be literally anything? You make monster movies, of course! Lissa is convinced that Blue will be the secret to her big break. But when Haylie goes missing on Halloween, Lissa, Adam, and Blue must venture Down Below to stage a rescue—and face the real Monsterville, which is anything but a game. 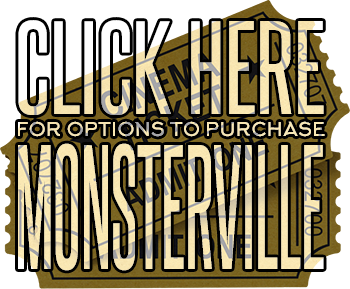 Coming from Sky Pony Press in September of 2016, Monsterville is a fusion of The Boxtrolls, Jumanji, and Candyland, weaving together friendship, family, and monsters into a funny fantasy-horror brimming with heart from a great new middle grade voice. It both entertains and teaches middle school kids about film-making.